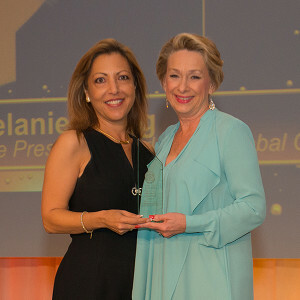 Melanie Gring, Global Connections Vice President of Strategic Alliances and Public Relations, has been awarded the esteemed ARDA (American Resort Development Association) ACE Volunteer of the Year Award. The award is given each year by the ARDA Board and executive leadership of the Association to an individual for their dedication and service to the resort industry. Melanie’s recognition is based on the numerous ways she serves the industry— from chairing the ARDA WIN-Advantage committee to serving on both the Meetings and Awards Committees. She donates countless hours to working on behalf of the shared ownership industry and selflessly works with ARDA staffers and members to drive the industry to new heights. ARDA has almost 1,000 corporate members ranging from privately held firms to publicly traded corporations with extensive experience in shared ownership interests and membership based vacation clubs. The trade association’s annual convention was held at the Orlando World Center Marriott, April 12-16, 2015, with nearly 2,500 industry professionals attending the event. The award announcement was made during the convention’s Award Gala Ceremony on April 15. In addition to her roles with ARDA WIN-Advantage, ARDA Meetings Committee and ARDA Awards Committee, Melanie also serves on the ARDA Travel Club Task Force and also served as president of the Board of Directors of C.A.R.E. (Cooperative Association of Resort Exchangers, Inc.). A graduate of the University of Arkansas, she has prepared and conducted accredited classes and lectures on vacation ownership as an adjunct professor for Lynn University College of Hospitality Management in Boca Raton, Florida, and in Lucerne, Switzerland, to students enrolled from around the world. During her respected professional career, Melanie Gring has held numerous executive positions. Beginning with Fairfield Resorts (now Wyndham Vacation Ownership), Melanie spent two decades designing and integrating inventory revenue management programs allowing for independent resorts to participate in the Fairfield system expanding options for its members. She built her own consulting company in 1998, Leisuretainment, which was purchased by Global Connections where she now works. In addition to the ACE Award for Volunteer of the Year, GCI also was a finalist in numerous categories. With new branding initiatives spearheaded by Melanie, GCI was awarded four Finalist awards in three categories: Logo Design, Magazine Advertisement and Video Production. Global Connections Inc. is based in Overland Park, KS. It opened in 1996 as a travel club fulfillment and service provider, and is considered a leader in the travel industry. 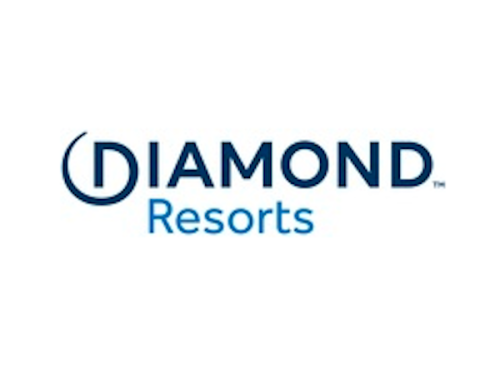 It offers its members a wide variety of benefits and vacation options for more than 700 North American resorts. GCI is also the developer and owner of resorts in California, Florida, Tennessee, and Colorado, as well as owning and leasing multiple resort condominium units throughout the U.S., Canada, Mexico and Caribbean. For more information on GCI, visit www.exploregci.com.For more information regarding Global Discovery Vacations, visit www.globaldiscoveryvacations.com.